David Michael Reid was a great brother, son, relative and friend to many. He lived his life with an enthusiasm and a zeal that was inspirational to those who were around him, and he was always quick to help someone in need. Hardworking and determined, David always had an upbeat outlook on life. Dave was born on July 30, 1983 and spent his youth in Southern New Jersey. 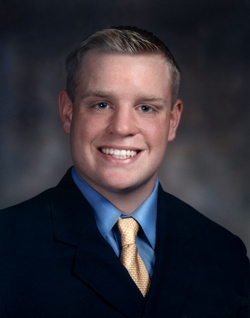 He attended Rancocas Valley Regional High School in 2001, where he was an all-state football player, national honor society student, and peer mentor. He attended Villanova University, where he was a member of the varsity football team. His life was accidentally and tragically cut short on July 25, 2004. This foundation was founded in his honor by those closest to him.